This week I want to recommend you something to do. 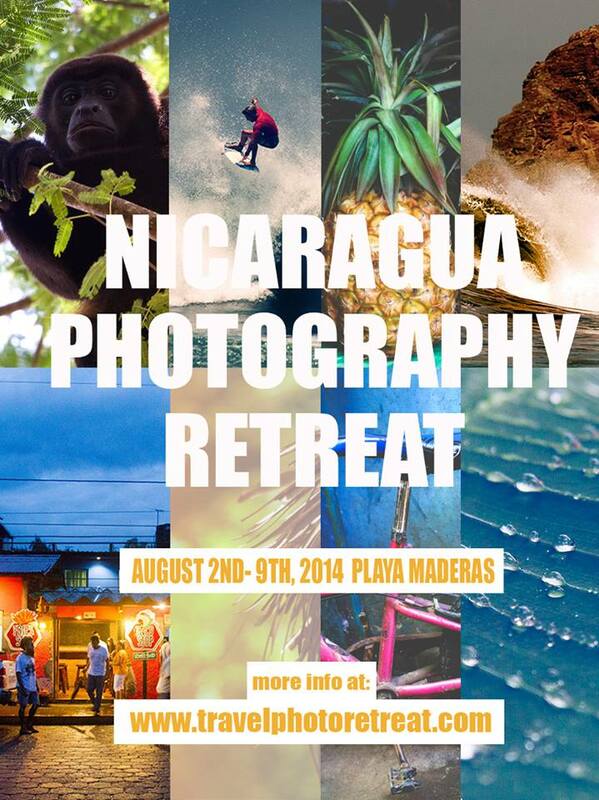 A Nicaragua Photo Retreat organized by my photographer friend Mireya Acierto. This is the perfect opportunity if you want to improve your beginner- intermediate level while you travel and discover amazing beaches, breathtaking sceneries and thrilling people all over the world. Don't miss this opportunity from August 2nd to 9th at Playa Maderas! Get in touch with Mireya at www.travelphotoretreat.com to know everything about the event and check out some of the photos I took there, at the web too. I warrantee inspiration everywhere you look!